Aging Wood Instantly – Country Design Style. I am going to use the above idea for a wedding invitation sign I’m going to make. I will use individual boards and attach them together in back to make a sign about 20″ x 16″ or so. I will use my Silhouette Portrait machine to cut stencils that look like the lettering on the invitation, enlarged to fit the size of the sign I create. I have made wedding invitation signs before using canvas and they turned out well. 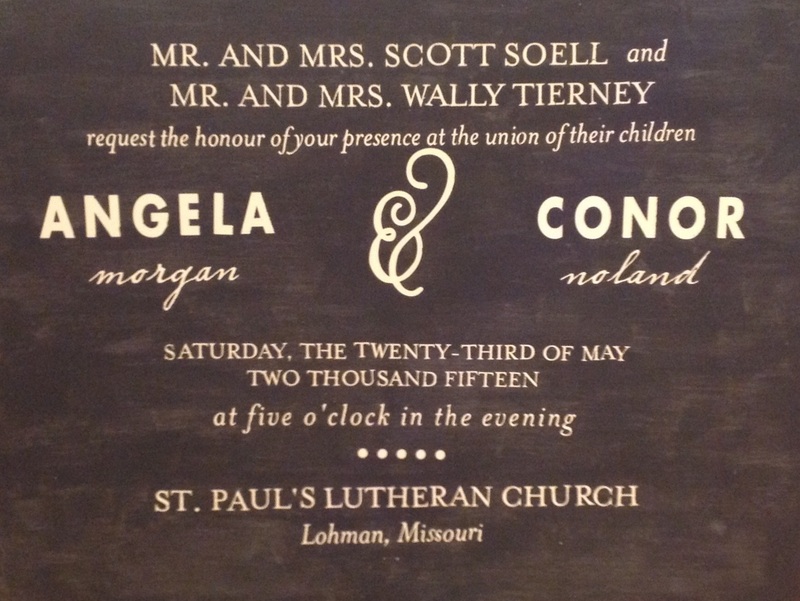 I can’t wait to make a “barn wood” one as the original invitation looks like it is on barn wood.